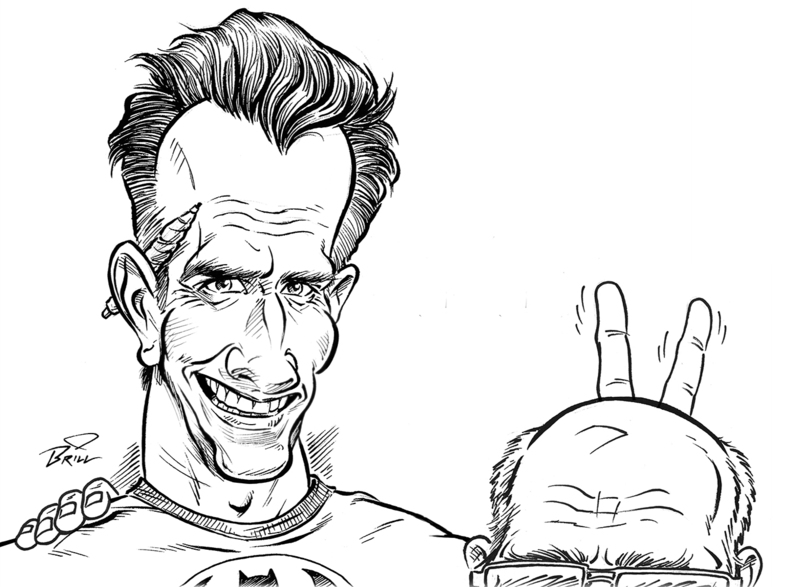 THE BRILLUSTRATOR: My MAD Tom Richmond Experience! 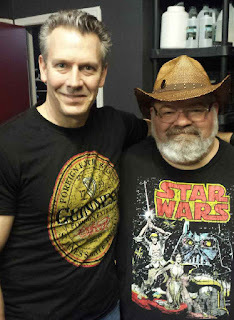 My MAD Tom Richmond Experience! 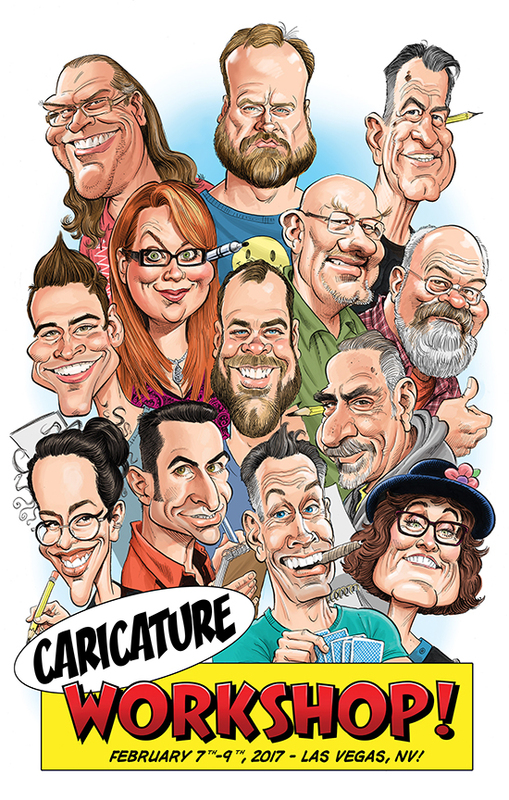 So, at the beginning of February I traveled to Las Vegas and participated in a three-day caricature workshop offered by the great Mad Magazine illustrator, Tom Richmond! 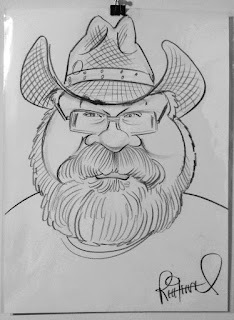 (Above is the group caricature he did of the attendees--an AMAZING piece of work!) It's the first and so far, only formal training I have had in caricature art and it was a fantastic learning experience! I really gained a lot from it and will probably be trying to process it into my work for the next few years. I've described it as "caricature bootcamp"--although I have a feeling that the indoctrination of new employees at his various theme-park caricature franchises is more like a bootcamp. 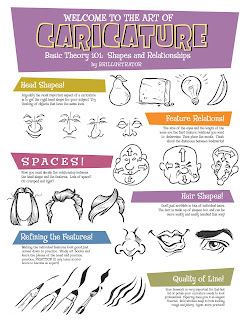 We got a bit of that as well as other aspects of the world of the caricature artist and cartoon illustrator business! In addition to discussions and demos by tom, we also did a lot of drawing which included one-on-one critiques. We also did a session of timed, 5 minute caricatures of our fellow classmates. It was difficult because each of them was drawing me at the same time...so nobody was looking at you when you looked up for reference! Everyone drew everyone else. Some of mine truned out OK, I think. Some of them were crap. ALL of Tom's were great. LOL That's why he was the teacher! 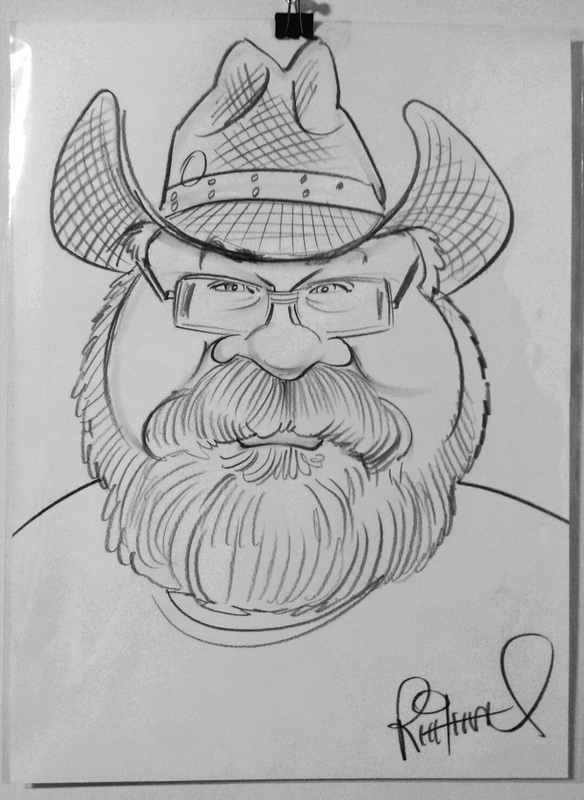 Above is the 5-minute caricature he did of me while I was struggling to draw him! Also a shot of us together because I just had to fanboy at him a bit!! It was a truly amazing experience and I'm so glad I was able to do it! And a HUGE and heartfelt THANK YOU to Tom Richmond for the opportunity to learn so much from him! So a couple of weeks later, I did a "Skill Share" event for my cartoonist's group CLAW as our community "Open Swim" Meeting for the month of February. I started off with the story of how I almost missed the whole thing because of the freak SNOWSTORM that took place the night before my flight! My flight was cancelled, I had to wait in line for hours to find an alternate route to Vegas and how I finally got to my hotel 11 hours after I was supposed to have arrived. (My luggage took another full day to show up.) It was pure hell getting there, but once the workshop started, everything was worth it! 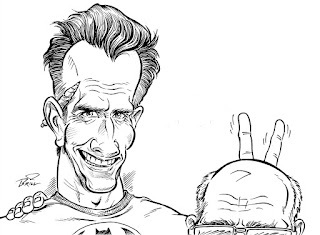 I talked about the experience and how much I had learned, I pimped Tom's incredible book "The MAD Art of Caricature" and I had artwork from the workshop on display, including the caricatures everyone had done of me and some of the pieces I had done during our numerous practice sessions. After that I did a couple of demos drawings of the kids that were there, which was fun. 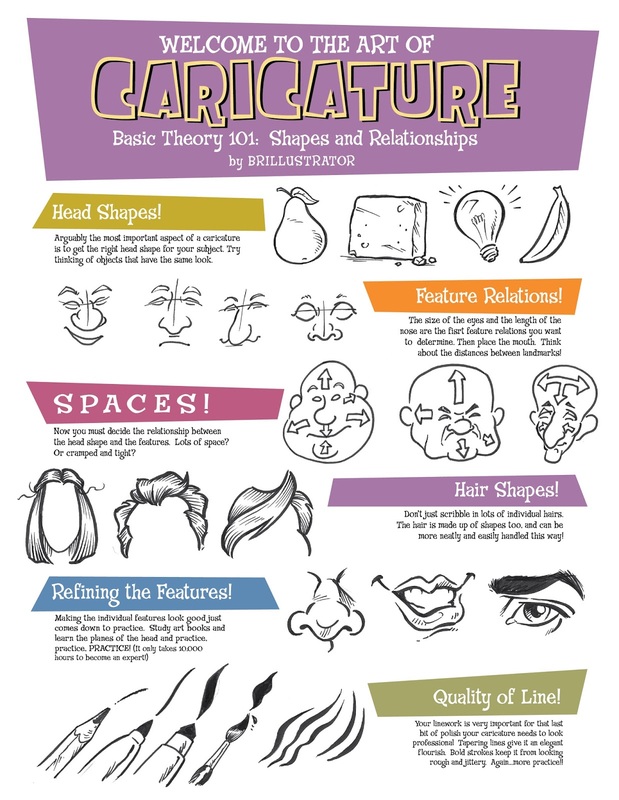 Another item that I brought with me was a handout page with some VERY basic caricature art information. I wanted people to have something to take with them. So lastly, I'm posting it here, along with the drawing I did for the Facebook announcement of the CLAW event. Feel free to download the sheet and print it out if you find any of its advice helpful.